Stew Hansen Dodge Ram Chrysler Jeep RAM is delighted to offer this terrific-looking 2018 Ram 3500. Tradesman4WD6.4L 8-CylinderAisin 6-Speed AutomaticCall now to get special offers and VIP treatment from our internet division. Please contact us today at 1-888-993-8282. Prices include rebates to dealer. Stew Hansen Dodge Ram Chrysler Jeep RAM is honored to offer this great 2018 Ram 3500. Tradesman4WD6.4L 8-CylinderAisin 6-Speed AutomaticCall now to get special offers and VIP treatment from our internet division. Please contact us today at 1-888-993-8282. Prices include rebates to dealer. Stew Hansen Dodge Ram Chrysler Jeep RAM is excited to offer this beautiful 2018 Ram 3500. Tradesman4WD6.4L 8-CylinderAisin 6-Speed AutomaticCall now to get special offers and VIP treatment from our internet division. Please contact us today at 1-888-993-8282. Prices include rebates to dealer. Stew Hansen Dodge Ram Chrysler Jeep RAM is proud to offer this handsome-looking 2018 Ram 3500. Tradesman4WD6.7L 6-Cylinder Diesel TurbochargedAisin 6-Speed AutomaticCall now to get special offers and VIP treatment from our internet division. Please contact us today at 1-888-993-8282. Prices include rebates to dealer. Stew Hansen Dodge Ram Chrysler Jeep RAM is very proud to offer this handsome 2018 Ram 3500. Tradesman4WD6.7L 6-Cylinder Diesel TurbochargedAisin 6-Speed AutomaticCall now to get special offers and VIP treatment from our internet division. Please contact us today at 1-888-993-8282. Prices include rebates to dealer. Stew Hansen Dodge Ram Chrysler Jeep RAM is proud to offer this great-looking 2018 Ram 3500. Tradesman4WD6.7L 6-Cylinder Diesel TurbochargedAisin 6-Speed AutomaticCall now to get special offers and VIP treatment from our internet division. Please contact us today at 1-888-993-8282. Prices include rebates to dealer. 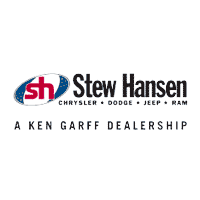 Stew Hansen Dodge Ram Chrysler Jeep RAM is honored to offer this wonderful 2018 Ram 5500HD. Tradesman4WD6.4L 8-CylinderAisin 6-Speed AutomaticCall now to get special offers and VIP treatment from our internet division. Please contact us today at 1-888-993-8282. Prices include rebates to dealer. Stew Hansen Dodge Ram Chrysler Jeep RAM is pleased to offer this terrific-looking 2018 Ram 5500HD. Tradesman4WD6.4L 8-CylinderAisin 6-Speed AutomaticCall now to get special offers and VIP treatment from our internet division. Please contact us today at 1-888-993-8282. Prices include rebates to dealer. Stew Hansen Dodge Ram Chrysler Jeep RAM is honored to offer this wonderful-looking 2018 Ram 3500. Tradesman4WD6.7L 6-Cylinder Diesel TurbochargedAisin 6-Speed AutomaticCall now to get special offers and VIP treatment from our internet division. Please contact us today at 1-888-993-8282. Prices include rebates to dealer. Stew Hansen Dodge Ram Chrysler Jeep RAM is excited to offer this fantastic 2018 Ram 4500HD. TradesmanRWD6.7L 6-Cylinder Diesel TurbochargedAisin 6-Speed AutomaticCall now to get special offers and VIP treatment from our internet division. Please contact us today at 1-888-993-8282. Prices include rebates to dealer. Stew Hansen Dodge Ram Chrysler Jeep RAM is delighted to offer this wonderful-looking 2018 Ram 5500HD. TradesmanRWD6.7L 6-Cylinder Diesel TurbochargedAisin 6-Speed AutomaticCall now to get special offers and VIP treatment from our internet division. Please contact us today at 1-888-993-8282. Prices include rebates to dealer. Stew Hansen Dodge Ram Chrysler Jeep RAM is very proud to offer this good-looking 2019 Ram 5500HD. Tradesman4WD6.7L 6-Cylinder Diesel TurbochargedAisin 6-Speed AutomaticCall now to get special offers and VIP treatment from our internet division. Please contact us today at 1-888-993-8282. Prices include rebates to dealer. Stew Hansen Dodge Ram Chrysler Jeep RAM is pumped up to offer this good-looking 2019 Ram 5500HD. Tradesman4WD6.7L 6-Cylinder Diesel TurbochargedAisin 6-Speed AutomaticCall now to get special offers and VIP treatment from our internet division. Please contact us today at 1-888-993-8282. Prices include rebates to dealer. Stew Hansen Dodge Ram Chrysler Jeep RAM is delighted to offer this gorgeous-looking 2019 Ram 5500HD. Tradesman4WD6.7L 6-Cylinder Diesel TurbochargedAisin 6-Speed AutomaticCall now to get special offers and VIP treatment from our internet division. Please contact us today at 1-888-993-8282. Prices include rebates to dealer. Stew Hansen Dodge Ram Chrysler Jeep RAM is proud to offer this beautiful-looking 2019 Ram 5500HD. Tradesman4WD6.7L 6-Cylinder Diesel TurbochargedAisin 6-Speed AutomaticCall now to get special offers and VIP treatment from our internet division. Please contact us today at 1-888-993-8282. Prices include rebates to dealer.